Summer is the season with no limits when it comes to makeup. Here are five different (and easy) looks I came up with for the Summer season! 1. 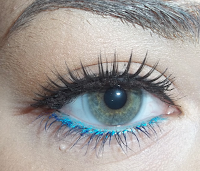 Black winged eyeliner with a pop of colour on the lower lashline. This is one of my Summer favorites, and it's so simple to achieve. Use any black waterproof liquid liner on your upper lashline (GOSH's Black liquid liner), then apply waterproof mascara (Maybeline's Falsies lashes mascara). Then you want to apply a long lasting eyeliner (like Urban Decay's eye pencil in Clash) to your lower lashline and smudge it out. 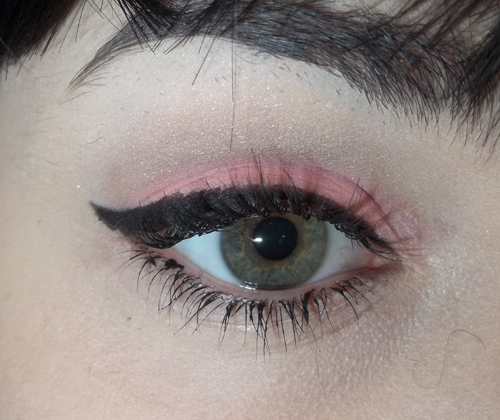 The great thing about this look is that you can use tons of different colours on the lower lashline. This is a very versatile makeup look, and it looks really cute, too. 2. Neutral golds with a pop of teal. This look is a lot like the first look, only I applied some neutral/soft golds to my eyelid, some false eyelashes, and added some blue eyeliner to my waterline instead of my lower lashline. Read the original tutorial here. 3. Neon orange and purple. This look is awesome for summer! The neon orange really pops, and the purple is sultry and gives the look a little more fun. This look is SO easy to attain, too. I used only two eyeshadows. Read the original post, see more pictures, and the product list here. 4. Peach innuendo / modern pin-up. This look can be rocked by anyone. It's so simple and classy- and very cute. This was actually inspired by Katy Perry and her modern pin-up style. Read the original post, see more pictures, and the product list here. 5. 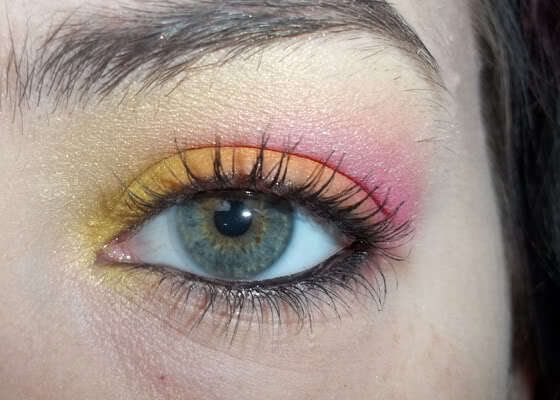 Shimmery sunset using NYX & Sugarpill. This is one of my favorite looks that I've done for summer. It's cute, and really easy to do! Read the original post, see more pictures, and the product list here.